I wembled about this painting a long time — this amazing, dramatic sky sat on my art table for weeks before I drew in the tree, and then weeks more while I waffled about what else it needed. 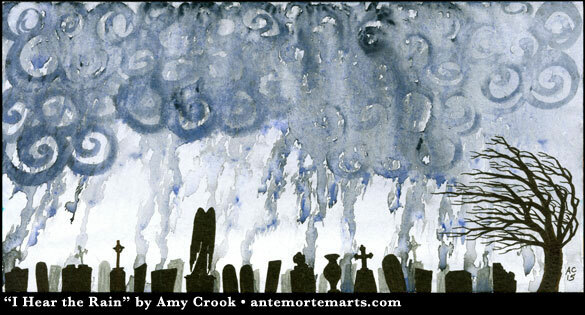 Finally, I gave in to my gothy heart and drew this gorgeous graveyard, the mysterious silhouettes blending beautifully with the descending torrent of rain. 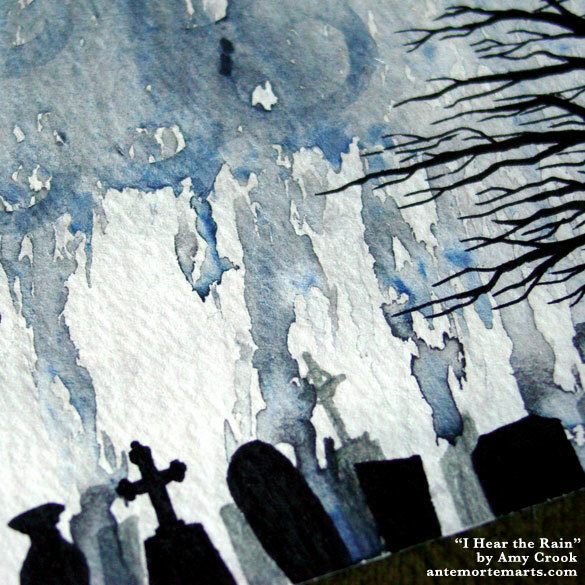 The painting gets its title from the Violent Femmes song “I Hear the Rain,” which is about being buried in a shallow grave and hearing the rain pound on the earth above you. 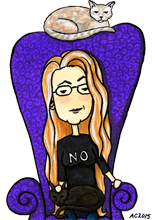 It seemed apropos. 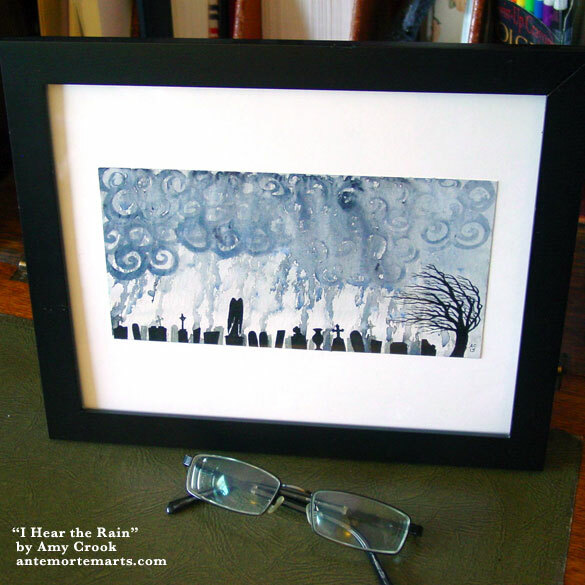 I Hear the Rain, 8″x4″ pen & ink and watercolor on Fluid watercolor paper. Above, you can see the way the gorgeously layered rain crashes down through the silhouetted graveyard. Below, the piece is in a temporary frame, just waiting to find a new home.